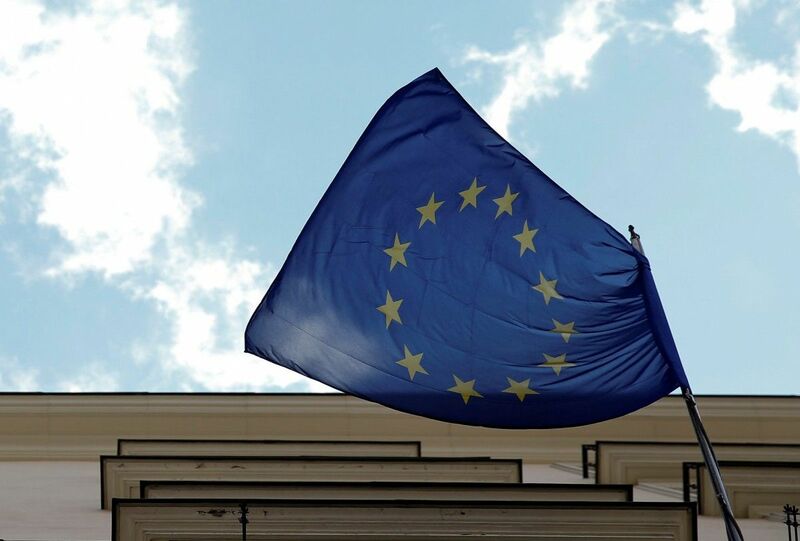 The European Union is preparing to extend sanctions against Russia for another six months this week, but what happens after that is uncertain as cracks in the bloc's unity have begun to show, RFE/RL reports. The EU's top diplomats are expected to agree to prolong the sanctions, which expire at the end of July, at a meeting in Luxembourg on June 21, though EU leaders will not give them a formal blessing until their summit in Brussels next week, according to RFE/RL. To this point, German Chancellor Angela Merkel has firmly guided the bloc toward maintaining sanctions, keeping Russia-friendly members of her own government on the sidelines while convincing skeptical states like Slovakia, Hungary, and Italy to set aside their objections and go along. But Merkel can no longer hide growing evidence that the mood in Berlin is shifting in favor of Russia in what may be the first sign of a serious break in the European consensus. As UNIAN reported earlier, German Foreign Minister Frank-Walter Steinmeier had called for a gradual removal of sanctions against Russia. He also told the German tabloid Bild that NATO "is inflaming the situation by warmongering and stomping boots." Likewise, in France, lawmakers sent a clear warning that they are getting impatient with sanctions by approving a resolution earlier this month urging the government to gradually lift them. France's Foreign Minister Jean-Marc Ayrault on June 20 repeated his government's assurances that the sanctions will stay in place for now because Russia and Ukraine still are not complying with the Minsk agreement to settle the conflict in east Ukraine. But he said EU leaders need to start showing "real, concrete, significant progress" in carrying out that agreement. "Whatever sympathy we can have for the Russian people and Russia, we have to be clear: The Minsk agreements have to be implemented and respected," said Ayrault. But with the EU facing major threats posed by a massive influx of refugees, a possible British exit from the union, and attacks by the Islamic State extremist group, many high-ranking officials in Europe have openly wondered whether the EU can afford to let ties with Moscow keep suffering, possibly beyond repair. Read alsoGermany steps up its flirting with Russia: EurActivSteinmeier's desire to engage Russia may have its roots in his mentor: former German Chancellor Gerhard Schroeder, a friend of Russian President Vladimir Putin, who cautioned in a weekend newspaper interview that "we can't allow the successes of Willy Brandt's Ostpolitik (engagement policy) to be squandered." But the German foreign minister is far from alone in demanding less militaristic posturing and more of a dialogue with Moscow. Italian Prime Minister Matteo Renzi and European Commission President Jean-Claude Juncker both attended a major Russian investor conference that was held in Saint Petersburg last week -- visits that would have been unthinkable a year ago. Juncker, while saying beforehand that he advocated extending the sanctions, stressed that he attended the event to keep the lines of communication open with Moscow. Meanwhile, Slovakia, one of the biggest skeptics on Russia sanctions, takes over the EU Presidency in July and will be in that role when the sanctions must be revisited again in January. "When you're confronted with [Islamic State], Putin doesn't look so bad. Because of this fatigue, there is a growing risk that the antisanctions camp grows stronger," he told Reuters.